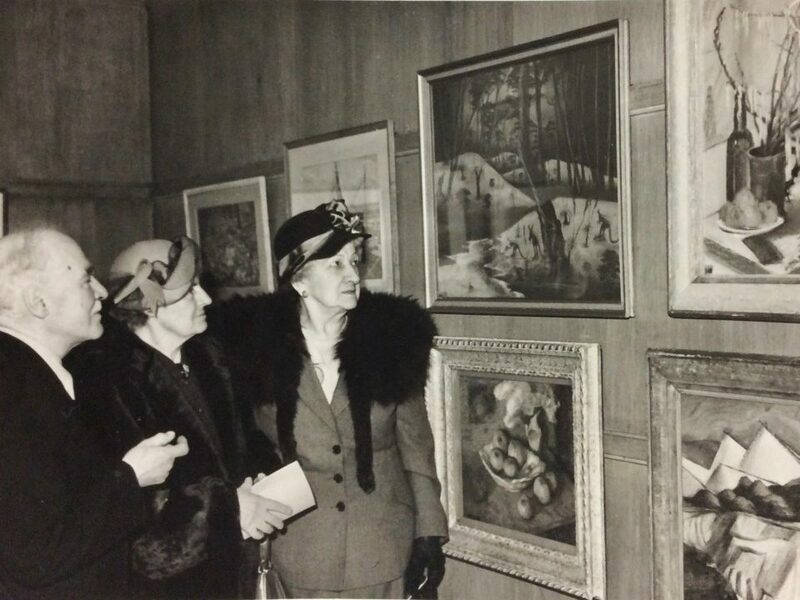 Parnell Dempster's Down to Drink adorns a wall at the 45th Annual Exhibition of the Pastel Society in London, 1951. Mrs Rutter proudly discusses the drawing with Mr and Mrs Richter. Mary Durack Miller Collection, J. S. Battye Library of West Australian History, 1951. Doris Flatt was one of the daughters of the 71-year old Englishwoman Florence Rutter, the self-appointed ‘ambassador’ to the Carrolup child artists. Over 100 years old at the time of this interview (May 2006), Doris had strong memories of her mother discussing the Carrolup artworks with great and sometimes ‘seemingly endless’ enthusiasm. Florence sent Doris weekly letters during her trip to Australia and New Zealand, which was essentially to establish Soroptomy (a women’s version of Rotary International) there. 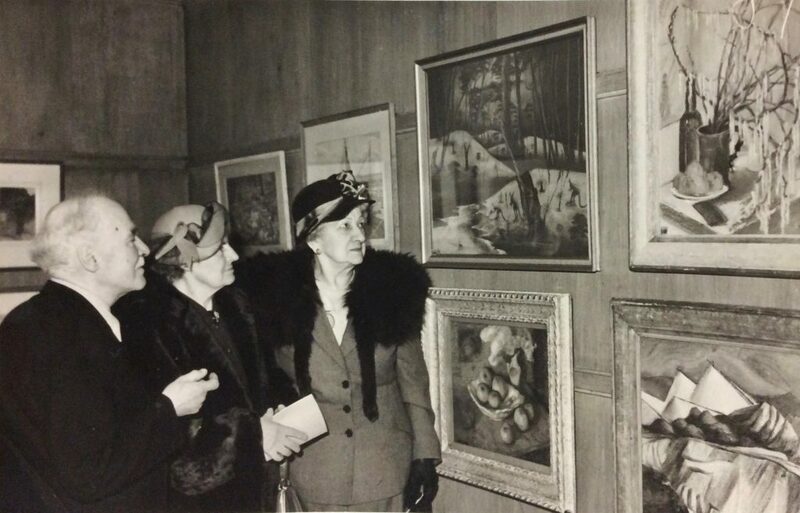 When Florence returned home, she was determined to bring the Carrolup artworks to the attention of gallery visitors in Britain and the Netherlands. I asked Doris what she recalled about her mother’s involvement, and the way the Government of the day treated the children. She felt that, ultimately, the Government didn’t want such a high level of attention being given to the artists, as they thought ‘it would serve no purpose’—this despite the international acclaim they had already attracted. Doris also talks about the letters that her mother received from Noel and Lily White, as well as from the children. You can read more about Florence Rutter’s involvement in the Carrolup Story starting here. Continue reading about Florence’s involvement by using links to the right of that section.